Keep pests at bay using a toxic-free combination of ultrasonic, electromagnetic and anion technology with this 4-in-1 pest repeller that doubles as a bright blue night light to illuminate your hallway or your bedroom! 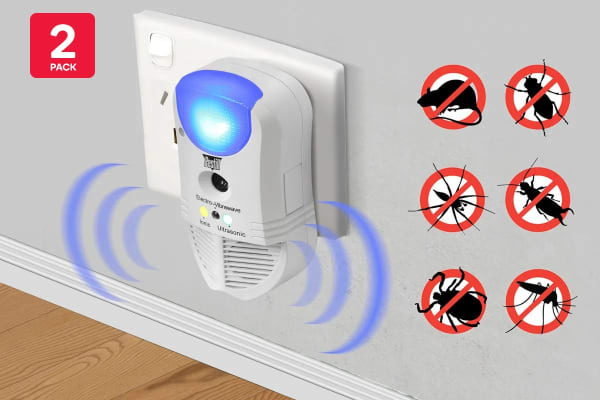 Say goodbye to pests, insects and creepy crawlies thanks to the Pestill 4-in-1 ElectroSonic Pest Repeller, deterring pests without filling your home with toxic chemicals. 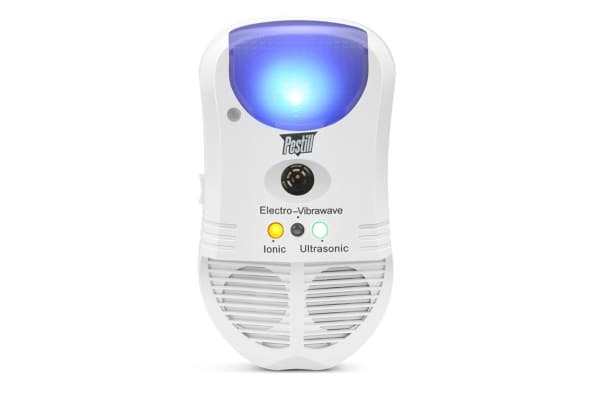 Using ultrasonic frequencies and electromagnetic pulses undetectable to children, adults and pets, this repeller is designed to aggravate insects without you even noticing, making it completely safe for use within your home. Food stuffs and garden plants starting to attract unwanted visitors? No problem! 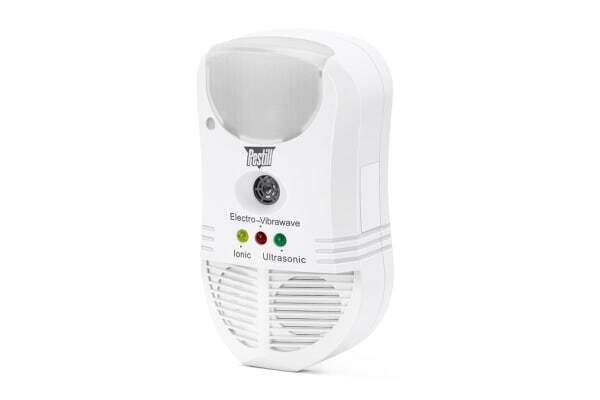 Air purifying anion technology releases negative ions into the air, killing odours and bacteria that lure insects and pests.